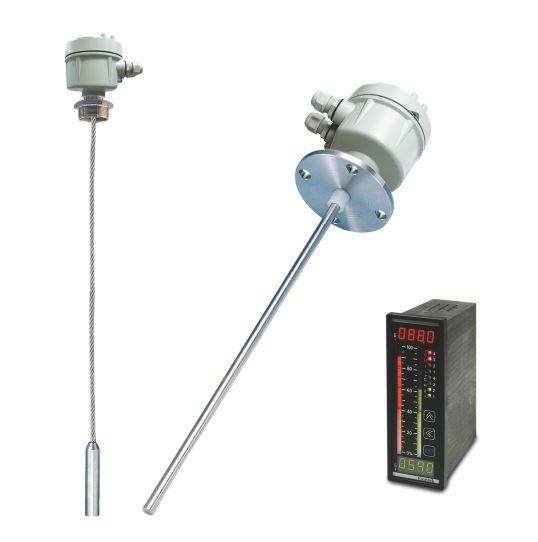 An RF level transmitter, or RF admittance/capacitance level transmitter continuously measures the changing level of a powder, granular or liquid material within a containment vessel. The RF level transmitter measures the changing capacitance between the sensing probe and reference ground (tank wall) to determine the level of the material in the vessel. When the sensing probe of the RF level transmitter is in air only (no material around the sensing probe; vessel is empty), the amount of capacitance (Ca) is measured. As the target material begins to surround the sensing probe, the capacitance changes proportionally until the maximum material level is reached (capacitance measured = Cb). The difference in capacitance (Cd) is proportional to the target material level on the sensing probe. At the maximum measured point on the RF level transmitter’s sensing probe the material level is related to the Cd, which is Cb – Ca. Typically the maximum range is = 5000pF. The operation of an RF level transmitter provides a output that is linear so long as the tank has sidewalls parallel to the RF level transmitter sensing probe. If the sidewalls of the tank are not parallel, such as in a horizontal cylindrical tank, then non-linearity can be an issue and a pipe shield or tube will be required to provide the required linearity during installation. The RF level transmitter, a.k.a. RF admittance level transmitter or RF capacitance level transmitter is reliable, accurate and cost effective. 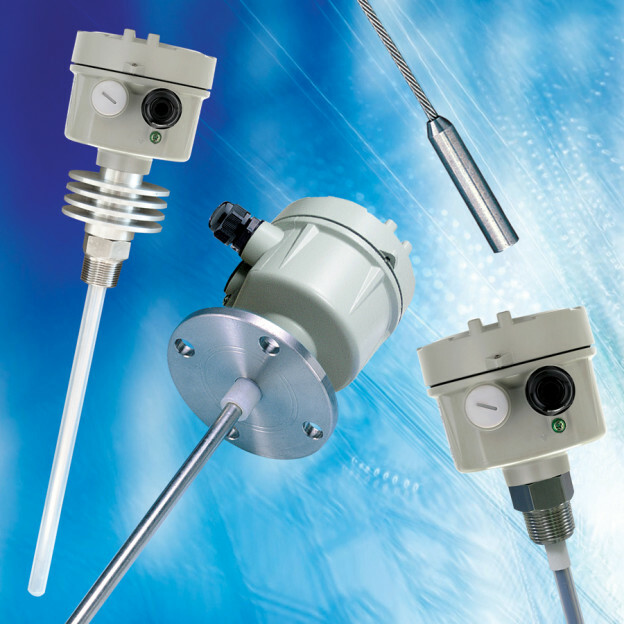 Aplus Finetek offers the EB series RF admittance level transmitter. For more information on the EB series go to the EB5 Series RF Level Transmitter product page or contact us at 815-632-3132.